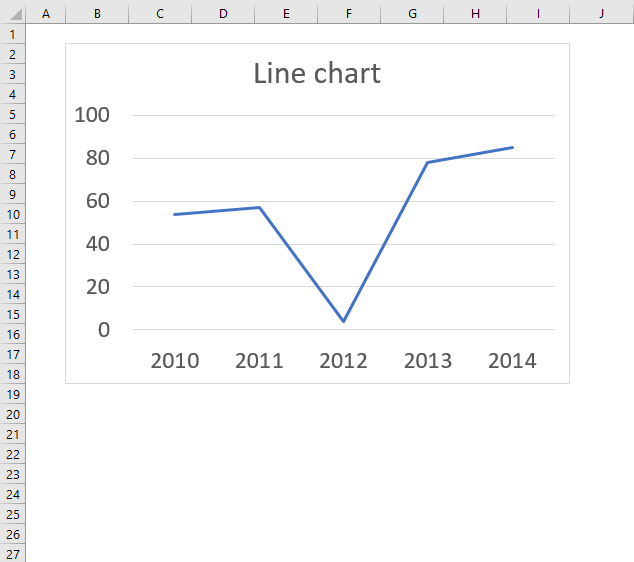 The line chart lets you chart data points as a line, this chart type is useful if you have many data points. It allows you to show values over time or categories, use this chart if the order of x values are important. 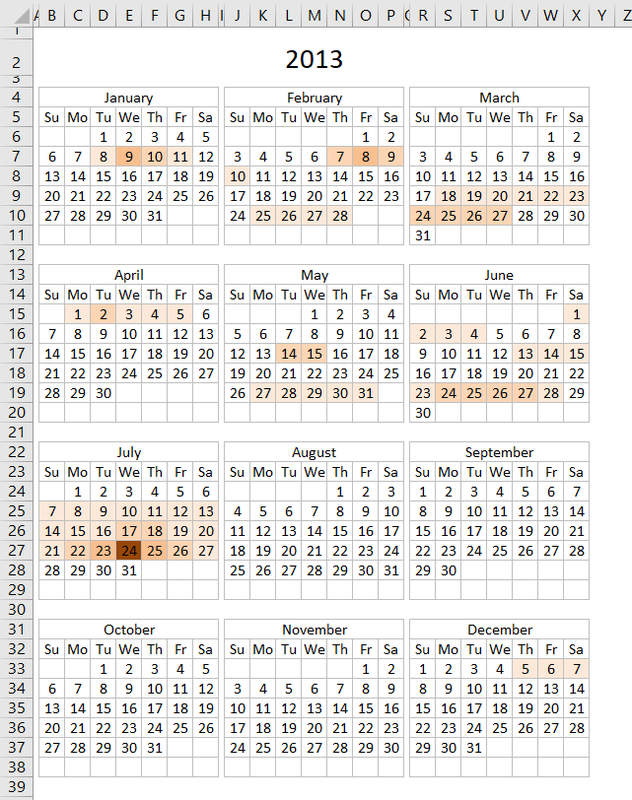 The data points are connected with lines so the order of categories or dates is really important with this chart. Example, you don't want x-axis values to be in this order 2015, 2010, 2014, 2011, 2013, 2012 if you are trying to see trends over years. 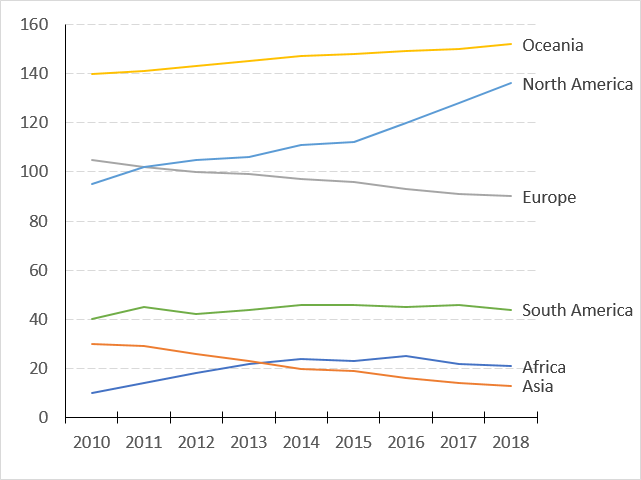 If your data is distributed evenly over, for example, years then the line chart is an excellent option, however, if your data is unevenly distributed then use the scatter chart. 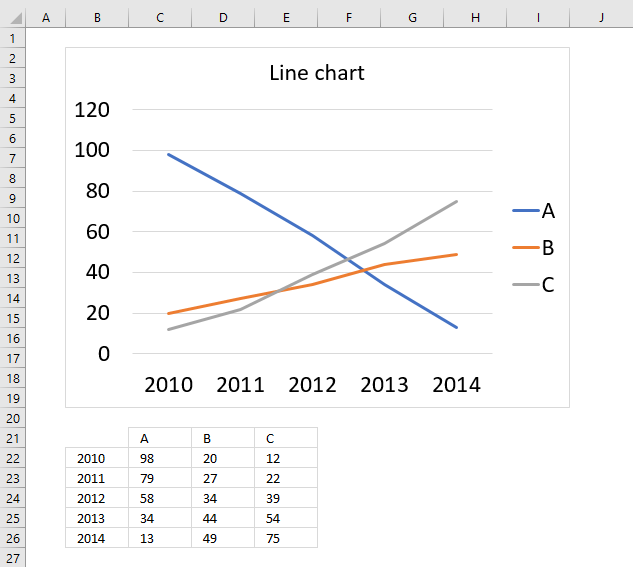 Use a line chart if your data contains non-numeric x values and scatter chart for numeric x values, scatter charts gives you better options to customize the x-axis. Select the data points. They don't need to be arranged row-wise or column-wise specifically, both work fine. The above picture shows how the values may be arranged. 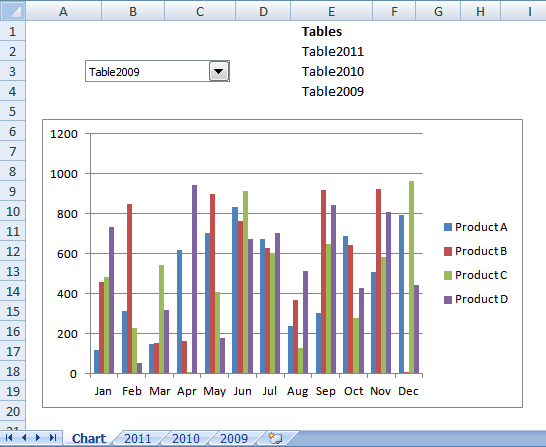 Click the "Insert Line or Area Chart" button to see chart types in this category. Click the Line Chart" button. Select the data points you want to chart. Excel behaves intelligently here, you can have the data points arranged like the values to the right of the selection as well, in the image below. The following chart demonstrates three data point series in a line chart and the source data below the chart.